Researchers have analyzed genetic data from half a million subjects in a search to identify the underlying causes of stroke, a complex vascular disease. Scientists at LMU led the the huge collaborative Project. Stroke is the second most common cause of both death and disability-adjusted life-years worldwide, but its molecular mechanisms remain poorly understood. A new study now provides extensive novel insight on the biology and pathways leading to stroke. An international research consortium has identified 22 new genetic risk factors for stroke, thus tripling the number of gene regions known to affect stroke risk. The results demonstrate shared genetic influences with multiple related vascular conditions, especially blood pressure, but also coronary artery disease, venous thromboembolism and others. Linking these results with extensive biological databases provides novel clues on stroke mechanisms and illustrates the potential of genetics to identify drug targets for stroke therapy. The results of the largest genetic study on stroke thus far were now published online in the journal Nature Genetics. The study was based on DNA samples of 520,000 European, North- and South American, Asian, African, and Australian participants of whom 67,000 had a stroke. These were derived from 29 large studies. The study was conducted by members of MEGASTROKE, a large-scale international collaboration launched by the International Stroke Genetics Consortium, an international multi-disciplinary collaborative of experts in stroke genetics from around the world who have been working together for the past 10 years. MEGASTROKE members include research groups from Germany, France, the UK, Japan, USA, Iceland, Spain, Switzerland, Italy, Belgium, the Netherlands, Denmark, Sweden, Norway, Finland, Estonia, Poland, Singapore, Australia, and Canada. “Because the extent to which individual variants modify stroke risk is very small, it required a large number of subjects to discover these variants. Our group has leveraged extensive datasets set up by numerous researchers over the past few years,” says Martin Dichgans, Professor of Neurology and Director at the Institute for Stroke and Dementia Research (ISD), University Hospital, LMU Munich, and one of the leaders of the current study. “We can’t overstate the importance of international collaboration across different ethnic origins when studying genetics of complex, common diseases like stroke. This large-scale collaboration across continents has been a game changer,” says Stephanie Debette, Professor of Epidemiology and Neurologist at University of Bordeaux and Bordeaux University Hospital, leading a research team at INSERM Center U1219, and another leader of the study. 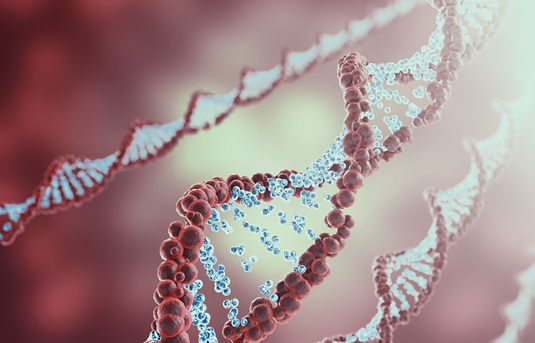 By adding data on gene expression, protein expression, and other characteristics in multiple cell types and tissues compiled by their co-investigators the researchers obtained first insights into the specific genes, molecular pathways, and cell and tissue types through which the new genetic risk factors cause stroke. The researchers further found that the genes they identified are enriched in drug targets for antithrombotic therapy, used to re-open occluded blood vessels in patients with acute stroke or to prevent vascular events including stroke. “These findings illustrate the potential of genetics for drug discovery,” says Martin Dichgans. “These genetic findings represent a first step towards developing personalized, evidence-based treatments for this very complex disease. They provide evidence for several novel biological pathways involved in stroke that may lead to the discovery of novel drug targets,” said Rainer Malik, a researcher at the ISD, LMU and first author of the study. “These interesting findings - linking stroke with multiple other disease states and with dysregulation of genes, proteins, and molecular pathways in specific cell types and organs - were generated using novel bioinformatics approaches that utilize and combine information from various international biological databases. Such datasets are invaluable in situations like this when tissue samples from patients are not readily available, underscoring the importance of data sharing, commented Martin Dichgans.